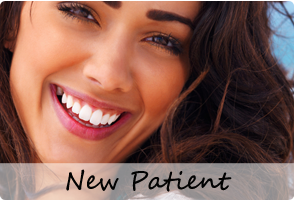 Our goal is to help you Reveal Your Smile through the practice of exceptional dentistry. We choose quality over quantity, making your individual needs and concerns our top priority. As a Sustaining member of the American Academy of Cosmetic Dentistry, excellence in dentistry is our commitment. We provide individualized dental care to meet your specific needs. Our established and comfortable practice has been in Sudbury for over twenty-five years. Your Smile is our priority. We treat your individual needs with great attention. We offer a preventive care plan which will help you enjoy your smile for years to come. We gain a sense of accomplishment by changing peoples lives one smile at a time. With state of the art digital equipment we can provide high level of cosmetic dentistry, including implants, veneers, crowns and tooth colored restorations, and Invisalign bringing the glow back to your smile. Our objective is to improve the quality of your life by giving you all the confidence you need to Reveal Your Smile! Our committed passion is to assist our patients to reveal a healthy, beautiful smile in a relaxed atmosphere. Our philosophy is to be a partner in our patients' and their families' overall health and comfort. We take pride in meticulously providing the highest state of the art in dental care with uncompromising integrity, compassion and a smile. It is our continued privilege to honor and respect the mutual trust and loyalty in the shared relationships with ourselves, our patients and the community. 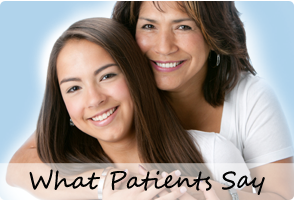 What our dental patients say? Dear Dr. Spada, How can I ever thank you enough for your caring as a human being as well as your extra-ordinary, competent, kind dental work! I truly appreciate your individualized care. We have been blessed with you for 30 years! Thank you sincerely, Shelby D.
Dr. Spada was a so accommodating when I contacted her last minute with a horrible tooth ache. I had been having the worst tooth ache for 3 days and finally decided to do something about it. Dr. Spada got me in right away, and even though I was running late due to horrible traffic, saw me and gave the answers I needed to solve my pain. Dr. Spada provided amazing service, and although I don't have dental insurance she worked with me and made me feel very comfortable throughout my entire visit! 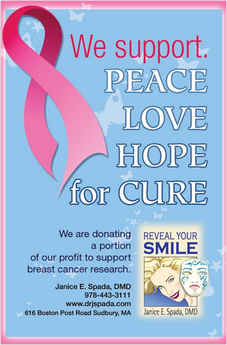 I would recommend Dr. Spada to anyone, she really is fabulous! 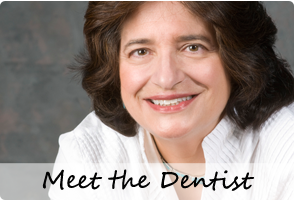 I have been Dr. Spada's dental patient since 1993. She is scrupulously attentive to detail, keeps careful watch of potential problems and has maintained for me a healthy smile. I recommend her services without reservation.